You will earn 8,472 Reward Points. Earn 1 reward point for every 1 dollar spent. 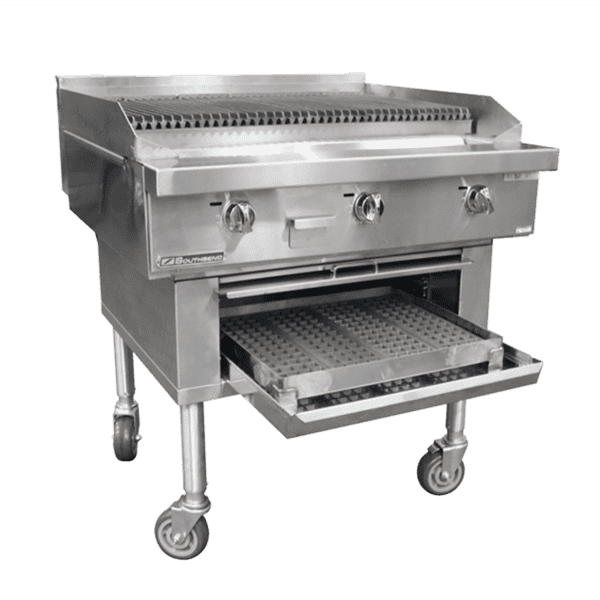 Make and serve tasty barbecue dishes and more with the Southbend P60W-CCCCC Platinum wood smoker charbroiler. It includes 60-inch-wide removable cast iron grates.